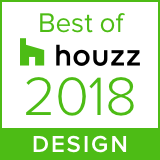 Houzz, the leading platform for home renovation and design, recently announced the community’s picks for Best Of Houzz 2018, a homeowner-to-homeowner guide to the top home builders, architects, interior designers, landscape pros and other home renovation professionals on Houzz from cabinetry or roofing pros to painters. To see the most popular designs click here. 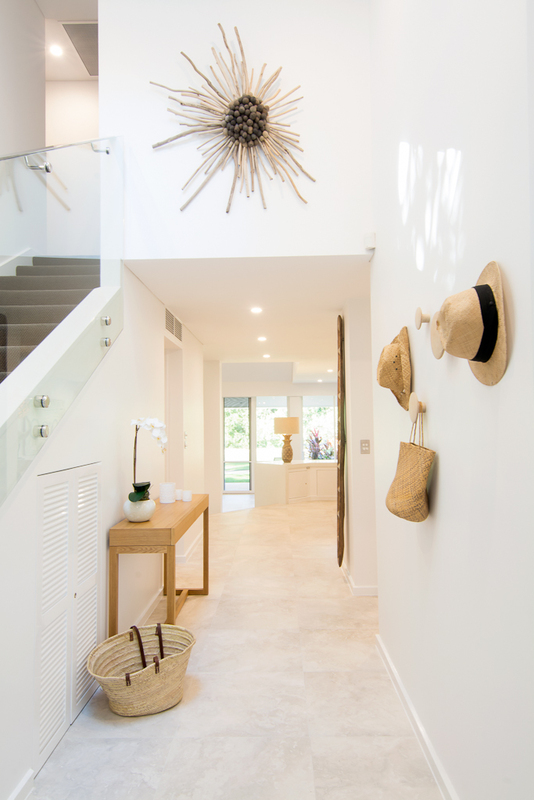 The team at Island Point Interiors are delighted to see that their fun, fresh contemporary design for the entry to a refurbished Sheraton Villa has won the hearts of more than 800 Houzz followers. Thank you for the fabulous recognition! I write with a combination of happiness and sadness with the news that I have sold my business - Island Point Interiors to Natalia Greig, who took ovder the reins at the end of September. I will remain as a consultant and my dedicated and friendly staff - Sally Sherlock, Melinda Andreassen and Hazuki Kirby will continue in the business along with Jayne Miller who will take care of the social media, advertising and web site. Natalia brings to Island Point Interiors years of experience in the industry here and in Asia, highly qualified with 2D, 3D and graphic software and worked along side one of Queensland's leading Architects for the last three years. A local Port Douglas resident, Natalia has exciting plans ahead to take the business to the next level of interior design in Port Douglas. With a passion for both hospitality and residential interiors, Natalia's own personal style is a perfect fit for Island Point Interiors. With her enthusiasm and energy, I feel confident in leaving my business at a stage where it is ripe to reach its full potential. Along with Natalia - Sally, Melinda and Hazuki will still be there to provide you with the personal service and quality interior products and advice you have come to expect over the years. It has been a 7 year journey for me, one filled with many amazing experiences meeting you all and sharing the fun and satisfaction of seeing through to reality the vision of creating interiors in your home or holiday property. I will try to thank you all personally, but in this email, I would like to thank you all for not just your business but including me in the joy and satisfaction of transforming your interiors. The Island Point Interiors studio is simply buzzing at the moment, with a refreshing breeze beautifully fragranced by…our new retail range! Yes, you did read that right! Island Point Interiors will be stocking a select range of retail products in our Reef Marina studio. We welcome you to drop by to say hello, and to pick up the perfect gift or accessory for your home. We warmly invite you to the Studio to take a peek at our range of candles, diffusers, room sprays, décor and accessories…with lots of other lovely stock arriving before Easter. Voluspa candles are based on a fresh coconut oil wax blend. They are exquisitely luxurious yet affordable, a range of rare and exotic fragrances packaged to exquisite perfection. A warm, sensual aroma is created by the Baltic Amber fragrance- with essential oils of amber resin, sandalwood and a touch of neroli. Available in 100 hr candle, 25 hr tin and room diffuser. Welcome your dreamy tropical island inside with Voluspa's Panjore Lychee. Coconut wax is infused with Panjore lychee, cassis and juicy Asian pear. True Grace is a range of hand poured candles inspired by walks in the English countryside, wonderful childhood memories and travels to exotic destinations, True Grace candles are hand poured in Wiltshire, England using the finest pure ingredients and 100% pure natural wax derived from rapeseed and beeswax. Gorgeous scents like breezy seashore, orchard, blackcurrant leaves and garden rose are infused into each clean-burning candle. Reminiscent of a walk along a deserted beach on a cool summer's night, True Grace's Seashore is a clean, fresh fragrance balanced with notes of geranium, neroli, cedar and moss. Wild Lime is a freshly squeezed fusion of sun-drenched limes, bergamot, grapefruit, mandarin and zesty lemon. Garden fresh herbs and amber round out this uplifting fragrance-ideal to spritz as a Room spray for imminent guest arrival! A peek inside the Island Point Interiors studio.